The period of hire commences at the time of collection and is deemed to continue until the Bicycle is received by the Owner as aforesaid. In the event of the Bicycle being lost or stolen the Owner reserves the right to call upon the Renter to indemnify the Owner the replacement value of the Bicycle. 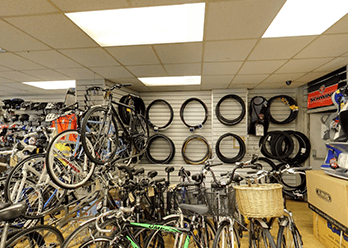 However, should the Bicycle subsequently be recovered in a useable condition, the Owner undertakes to refund the Renter’s Indemnity in full within fourteen days. The Renter shall be solely responsible for and shall keep the Owner fully indemnified in respect of all fines, impositions or other penalties occasioned be the use of the Bicycle during the period of hire in respect of violation of any Acts of Parliament, Orders, Regulations or bye laws for the time being in force. The Renter will pay to the Owner on demand all charges due under the agreement. The estimated rental charge (calculated as per the Owners current lists) plus any charges for additional accessories and attachments, is payable in advance before collection, together with a deposit as advertised. Any refunds due, if any will be made when the Bicycle is returned to the Owner as aforesaid. In the event of cancelled forward booking, a minimum of 20% of the rental charge thereof will be payable together with the balance thereof should the Owner be unable to re-hire the Bicycle in question for the same period. If the Renter shall commit any breach of the terms of this agreement the Owner shall be entitled, but without prejudice, to any other rights or remedies which it may have to terminate the hire of the Bicycle, and recover possession thereof without notice, and to make reasonable charge for such repossession. No rights of the Owner under the agreement will be waived except in writing by a duly authorised member of staff. The Late return of a cycle will incur an additional charged payable by the hirer upon return for each bike late. 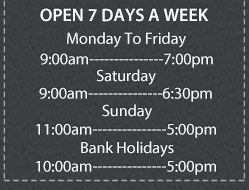 Days hire charge for all bikes over an hour late. ITEMS SUPPLIED MAY DIFFER FROM THOSE ADVERTISED & ARE ALWAYS SUBJECT TO AVAILABILITY. 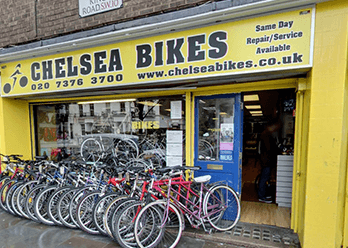 CHELSEA BIKES RESERVES THE RIGHT TO ALTER, TERMINATE OR WITHDRAW AND ITEMS OR PROMOTIONS ADVERTISED OR SO OFFERED AND THEIR PRICES OR CONDITIONS AT ANYTIME. 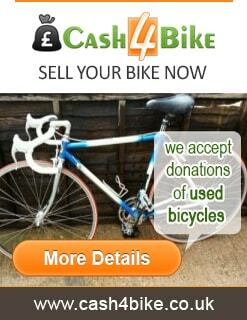 IN ALL CASES CHELSEA BIKES WILL ACT WITH IN REASON TO HONOUR BOOKINGS AND AGREEMENTS.